Australia is lagging behind the rest of the developed world is the adoption of electric vehicles. Governments all over the world are throwing tax breaks and subsidies at prospective EV buyers to make them more affordable. The Australian government, meanwhile, is sitting on its hands. 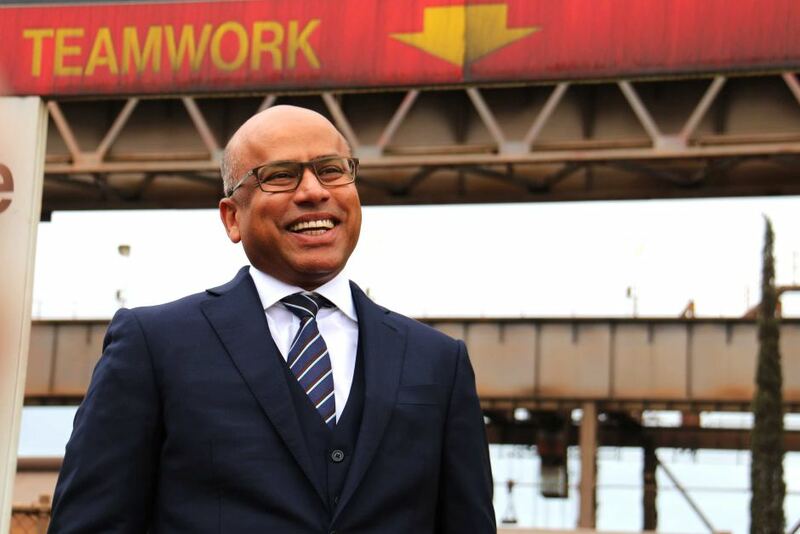 Recently, British billionaire Sanjeev Gupta approached the South Australian government with a plan to build electric cars in the former Holden factory in Elizabeth. Gupta is believed to be intending to use a car developed by Gordon Murray Design. SA treasurer Tom Koutsantonis supports Gupta’s proposal. In a letter to General Motors obtained by News Limited, Koutsantonis urged Holden to consider Gupta’s bid a priority. “We are incredibly excited and supportive of the GFG Alliance’s bid and subsequent plans to ensure the continuation of our very proud history of automotive excellence and innovation in South Australia”. Unfortunately, GM rejected the offer earlier this week, citing that some of the assets GFG wanted to buy had already been allocated to other GM factories. We've sort of been down this path before. Guido Dumaray’s Punch Corporation looked into buying Elizabeth and the rights to the Zeta platform. He believed Zeta-based cars could be exported as genuine competitors to BMW and Mercedes, but after discussions with Holden found that it was unviable. The difference with Gupta’s plan is that he wants to try something new. If the federal government wasn't going to support Zeta under GM, it wasn't going to support it at all. Australia faces a unique challenge in implementing widespread use of BEV or HEVs. We've got vast distances to cover between relatively small population centres. EV fast charging points or hydrogen filling stations would have to be placed at a greater frequency than our existing service stations to account for the shorter range of both. Hydrogen has an advantage here because you'd only need one pump for every existing petrol pump. Refilling a car with hydrogen is broadly the same as petrol. On the other hand, you would need an EV charging station at every parking space because everyone will need to stop for 20 minutes. The fast-food outlets that occupy freeway service stations will love EVs. There's also the small matter of EV fast-charging stations not quite being universal. You can't charge a Nissan Leaf with a Tesla Supercharger. 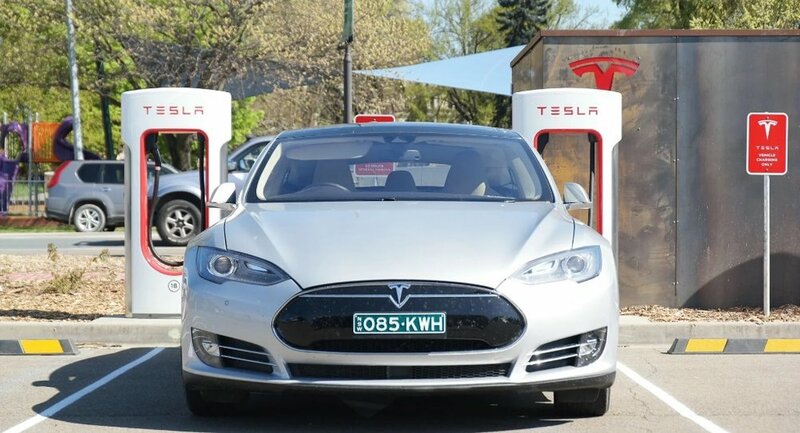 It's already possible to drive a Tesla from Melbourne to Brisbane, recharging at the various Superchargers along the east coast, but you can’t do the same with any other EV. Partly because of the lack of charging points, partly because none of the others have a particularly long range. But we still have to make an effort. Take it one step at a time and we'll get there. A hydrogen station in Melbourne or Sydney would be a good start. More regional cities on the Hume Freeway should follow Wodonga’s lead and install charging stations. When car makers start rolling out more electric and hydrogen cars and ultimately stop making ICEs, we can't afford to still be twiddling our thumbs. Federal energy minister Josh Frydenberg believes that EVs are the future, and will be as big a disruptor as the iPhone was. It’s one thing to say that, but he hasn't shown a great deal of initiative. A $390,000 grant was given to the Electric Vehicle Council last year,.but not much else has happened. This was forgivable when we had a car industry to protect, but the government wasn’t much interested in doing that either. Now the only way we’ll likely get it back is through supporting the likes of GFG. Australia’s short three-year parliamentary terms with variable election dates chosen by the sitting prime minister don’t help. Our politicians spend more time campaigning and strategising than they spend implementing policies. Australians have a handful of EVs to choose from, but no hydrogen ones The main reason that there are no hydrogen cars in Australia in private hands is that there are no public hydrogen filling stations in Australia. Only the most die-hard free market libertarians would deny that in chicken-and-egg situations like this, a nudge from the government is needed. No one is going to build a hydrogen station that doesn’t have any customers, and no carmaker is going to try and sell a car you can’t refuel. The government needs to show some initiative, step in and fund just two hydrogen stations to get the ball rolling. One each our biggest cities, Melbourne and Sydney. Once that happens you've got support for hydrogen cars in those key markets and people can consider buying them. Soon, private enterprises would have an incentive to build more around Melbourne and Sydney, and in Canberra, halfway between. Then Brisbane and Adelaide start to stack up economically. Perth and Darwin are a bit too isolated and might require another government nudge. This won't happen anytime soon because hydrogen isn't the latest buzzword. Unless that happens, or someone is willing to supply both, we won’t see a hydrogen-powered car in Australia. Fortunately, Hyundai, with the help of a supply contract from the Australian Capital Territory government, is doing just that. It already has a refuelling station at its Sydney head office and a left-hand drive ix35 fuel cell demonstration car. From next year it will start importing Nexo fuel cell SUVs, and the ACT government has promised to buy the first 20 examples. It’s good to see someone taking action because hydrogen is considered the better long term option for Australia. The Nexo has a range of 800km, meaning you can almost get from Melbourne to Sydney on a single tank. Beyond our cities and highways, things get even more difficult. If you were to drive from the east to west coast, or from Adelaide to Darwin, you wouldn’t come across much of anything. People do occasionally need or want to travel into the outback, but establishing new refuelling infrastructure here is extremely difficult. Especially considering the small number of people it would serve. While they might not be the best solution in major cities, biofuels and synthetic petrol/diesel come into their own in the more remote parts of Australia. Nothing has yet to match the energy density of hydrocarbon fuel, and more importantly, we already use them. The same technology, infrastructure, and precautions we use today, still has a future in taking people further from civilisation than they should probably go. The same could be said for northern Canada, Siberia and large parts of Africa and South America. Hydrocarbon-fueled ICEs aren't done yet. This is good news for anyone who enjoys ICE-powered cars. Given that you’re reading this on a car website, that includes you. Just as the car didn’t mean the end of the horse, electric and autonomous cars won’t mean the end of manually driven petrol cars. But there needs to be enough demand, or an essential use, for hydrocarbon fuels in order for someone to produce them. We also need fewer people driving to bring demand down and reduce the environmental impact that cars have as a whole. A horse has a much larger carbon footprint than a car, but because they’re only kept as hobbies for a small number of people, they’re not considered a problem. It’s possible to produce enough ethanol, biodiesel, synthetic petrol etc to satisfy the enthusiast and specialist market, but not for everyone. For everyone else, hydrogen and electric cars will be better. They’re virtually silent, clean, potentially offer better packaging, require little maintenance and are cheap to run. Australia needs to pull itself into line with every other developed nation so we can all be better off. Fortunately, Australia's inaction on EVs will put the brakes on any plans Victoria might have to be the first jurisdiction in the world to make driving illegal. Fully autonomous cars really only work if they're electric.